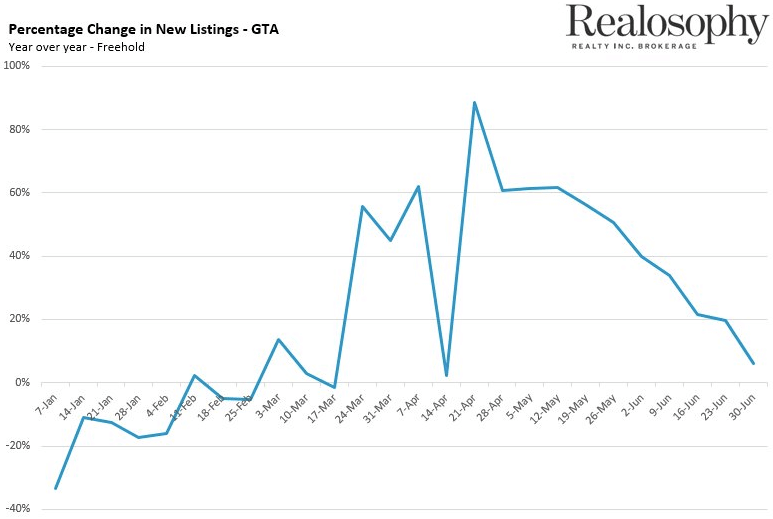 There’s been much chatter about the apparent bursting of the Toronto real estate bubble. Home sales have plummeted 37%, meanwhile the average sales price has sunk by 14%. Sounds awfully familiar to the Vancouver real estate market after the shock of a foreign buyers tax, doesn’t it? In fact, you could argue things were even worse in Vancouver at one point. Back in January, sales in Vancouver had fallen 39% year over year, with the average sales price having plunged 24% from January 2016. Since then, Vancouver has rebounded nicely, mostly thanks to a purge of new listings. There’s been an extremely close relationship between sales and new listings in Vancouver. As sales plunged, sellers refused to sell in a falling market, slowing the bleeding. Sales and New Listings Forming a close relationship. 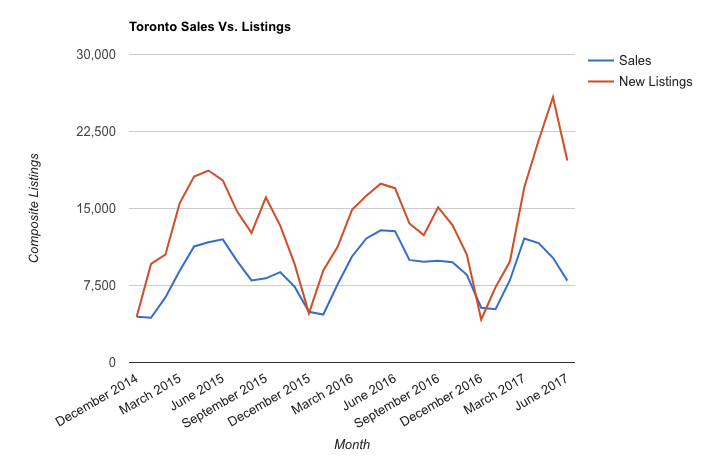 However, recent data from President of Realosophy Realty, John Pasalis, suggests new listings are now beginning to trend downwards. 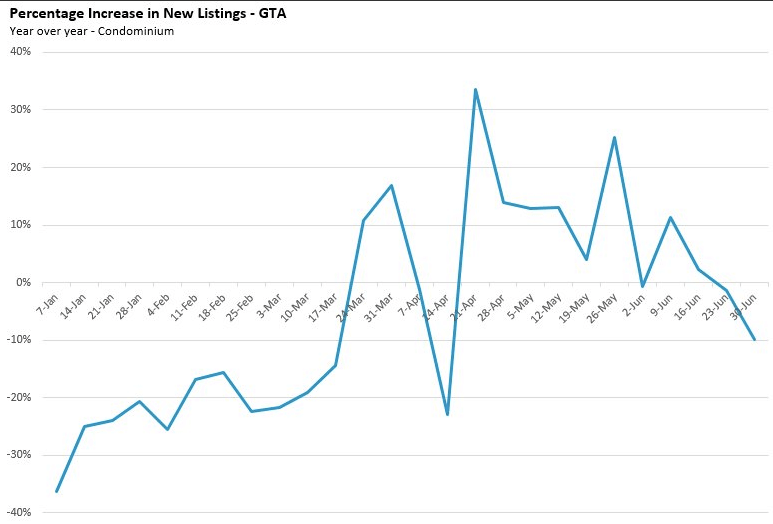 New listings for Toronto condos have been trending down the past four weeks . 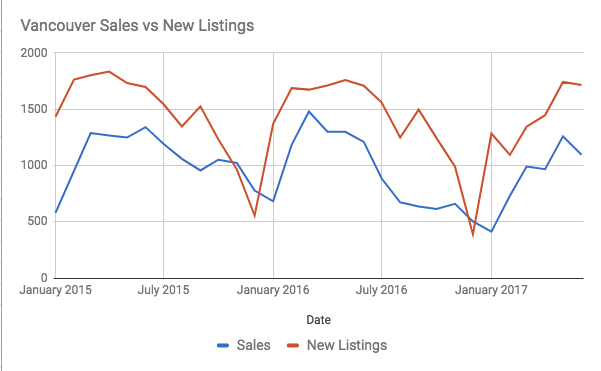 New listings for freeholds are still up – but have been declining since April.